Last time we learned 9th Chords. Now that we’ve reached lesson #6, we’re going to cover 6th chords. These are very interesting chords because they add some color to your progression. They give your progression something different without pushing it’s limits and keeping a stable chord. These are great and create very diverse tones depending on it’s surrounding chords. I’m starting to use them a lot in my music. Let’s start building our chords! These create a very colorful happy feeling. Its used to add some color and widen the pallet. It’s also great for smoothening transitions between chords, by having a stable chord with one more note in common with the next chord. 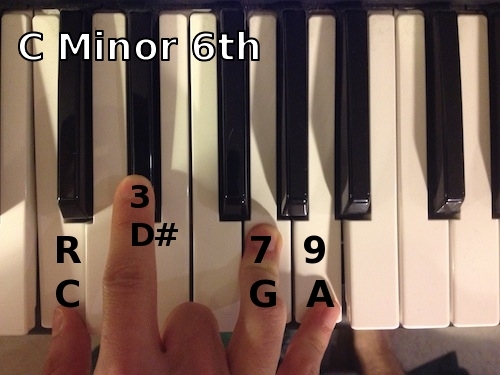 If you actually look closer at a Major 6th, you’ll notice that it’s a Minor Seventh Chord in disguise. Because of this, it can easily be substituted. (e.g. 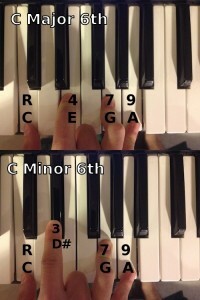 : If your playing a C6, it could also be interpreted as Am; G6 can also be Em.) 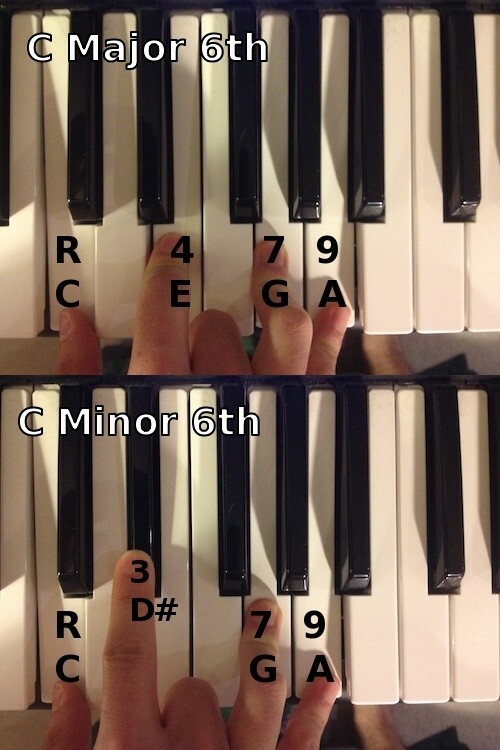 So basically a Major 6th is a Minor Seventh Chord. These are the mysterious chord. When played, it creates a feeling of strangeness. It isn’t necessarily a bad feeling, it just feels different and like its floating. These are best used as a dramatic pause. When you play them, drag them out and it will really grab the listener’s attention. An example of this chord in use, is a Cinematic Instrumental called, Party Cloudy, by JeFF ZaBorski. I just want to say I am beginner to weblog and actually enjoyed you’re web site. Probably I’m going to bookmark your site . You surely come with fantastic stories. Thanks a lot for sharing with us your web site. I very pleased to find this web site on bing, just what I was looking for : D besides bookmarked . 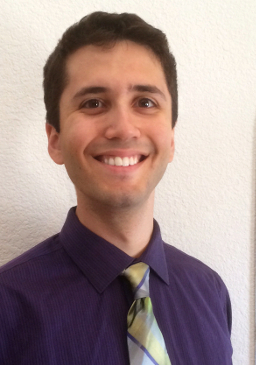 I simply want to say I’m all new to weblog and seriously loved you’re website. Probably I’m planning to bookmark your website . You really come with superb writings. Appreciate it for revealing your web-site.